Al-Monitor – The geo-economic aspects of President Hassan Rouhani’s visit to Iraq couldn’t be more pleasing to Iran’s conservatives. Ever since the US departure from the Joint Comprehensive Plan of Action (JCPOA) last May, conservatives have urged Rouhani to bypass Washington’s reinstated sanctions by focusing on trade with neighbors like Iraq as opposed to the Europeans. Hard-liners are now confident that the fresh trade deal with Iraq is large enough to neutralize US sanctions. Kayhan, which is close to the supreme leader’s office, hailed the agreement as “a slap by Iran and Iraq” in the face of the US government. 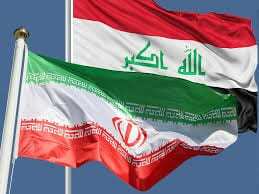 “The American dream to sabotage political and economic ties between Iran and Iraq will never come true,” Kayhan added. The paper described the closeness of Tehran and Baghdad in recent years as a fruit of Iran’s “advisory role” in the fight against the Islamic State. Iran’s anti-West camp has tirelessly attacked the Rouhani government for supposedly having put all of its eggs in the JCPOA basket. But the Iraq trade deal, “though very late” is now “heralding the fact that Rouhani is understanding capacities in neighbors [big enough] to be replaced with the JCPOA,” Kayhan wrote. Weeks prior to Rouhani’s visit, officials from his Cabinet — Foreign Minister Mohammad Javad Zarif, Oil Minister Bijan Zangeneh and Central Bank of Iran head Abdolnaser Hemmati — were in Baghdad to work out the details. Media reported that some of those meetings aimed to resolve disputes, which were laid bare by Zangeneh in a presser after his return from Iraq. The pragmatist old-time minister had a bone to pick with Iraqis, expressing serious dissatisfaction with Baghdad for following US-imposed banking restrictions on Tehran. Iraq’s failure to pay off accrued electricity and natural gas debts was also a thorny issue, one that central bank chief Hemmati had been intensely negotiating with Iraqi counterparts. And his mission seems to have succeeded, as his office announced March 12 that the first batch of dues had been deposited. As Rouhani wraps up the visit, the debate over geo-economics as a powerful tool to bypass US sanctions and to expand influence in Iraq and beyond is expected to keep Iran’s political circles busy for quite some time. “To mitigate the impacts of US and Western pressure, Iran should maintain deep influence in the region,” said veteran Iranian diplomat Ali Khorram in an interview with moderate paper Hamdeli. “Beyond doubt, Tehran is the only regional power which can set the new rules of the game in the Middle East. A continuation of Iran’s presence in Baghdad, Beirut, Damascus and Sanaa has been emphasized by most experts of international relations,” he noted.